Teresa Duffy-Richards self titled debut album OUT FRIDAY MARCH 1st! Lyrical, timeless and swelling with rich, full clout that hits you with the gentlest of nudges, Teresa Duffy-Richards crafts hauntingly bare songs, ultimately steeped in the vast traditions of folk and country music. It might sound sweet but there's an ever-present grit and fragility to her voice and songs that prods at the most tender of wounds. 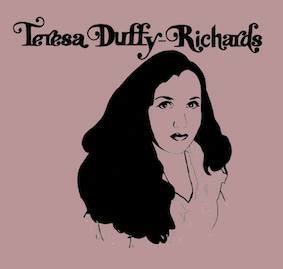 Following the successful release of lead single 'Mama's Song' comes Teresa Duffy-Richards’ debut self-titled album. Out March 1st via Melbourne’s Night Owl Records, it is a collection of songs, carefully crafted. Peppered in Australian imagery, from Teresa’s country NSW home town, to the Victorian city she now calls home, the songs also cleverly draw on classic work of 20th century troubadours (Dylan, Mitchell), and the Tennessee reared yodellers and old world songbirds of the deep American South. The stark opener 'This City', is an ode to Gram Parsons played on acoustic twin guitars reminiscent of Gillian Welch and David Rawlings. From there the catalytic work of Neil Young rings out in over driven numbers ‘By and By’ and ‘Halfway Out the Door’ and settles into Golden Era / alt country territory on ‘Any Soul’ before simmering out on the lonely acoustic heartbreaker, ‘Like Only Lovers Do’. Teresa’s full band, The Fifty Foot Women, hears her timeless voice and delicate finger picking surrounded by Joshua Jones' distinctive guitar and wailing lap steel. The unique voices of Claire Birchall (the Phantom Hitchhikers, Paper Planes) and Ruby McGrath-Lester (Team Love), create swelling three part harmony to Rival Dolly, Linda and Emmylou. It's music that is appropriately comforting in its familiarities and bold and creative in its differences. Recorded in its entirety at Rolling Stock Recording with Myles Mumford at the helm, the album will launch on Friday the 1st of March 2019 at Swamplands with exquisite singer songwriter Grace Cummings opening the show solo, before Sean Lee McCoy’s trio pick and fiddle their way back to the dust bowl era. Teresa will end the night, moving seamlessly between her long honed bare folk and alt country grit accompanied by The Fifty Foot Women. Claire Birchall & the Phantom Hitchhikers debut album 'Nothing Ever Gets Lost' is OUT NOW! ‘Nothing Ever Gets Lost’ marks a new phase in Claire Birchall’s constantly developing catalogue, her first album with a band since Paper Planes’ self-titled debut in 2008, and amongst her most eclectic collection of songs in over 20 years of recording. It carries Birchall’s signature sonic weight, and couples it with an increased pop sensibility, reminiscent of Dinosaur Jr and My Bloody Valentine, but in a truer way a testament to Birchall’s ability to explore the creative possibilities of recording with songs that are often rooted in stripped-back country or soul. The songs tell a story we all know well; the story of a place you either remember or find you still live in. A place where detachment, love, frustration, failure and romance exist at the same time, interweaving. ‘Nothing Ever Gets Lost’ will be released this November by Melbourne’s Night Owl Records (LP) and Off The Hip Records (CD). When Claire Birchall needed a backing band to launch her solo album ‘Electricity’ (2015), she called on those closest to her, assembling The Phantom Hitchhikers, comprising her partner, sister, and a couple of close mates. It was a temporary arrangement that quickly became permanent with the band developing an on-stage chemistry that reflected their personal bonds. They built a unique wall of sound, with three part harmonies, fuzz guitar, haunting keyboard, rocking drums, melodic bass, and pedal-soaked harmonica. In 2016 they got the opportunity to record a song for a Spencer P Jones tribute album with Dan Sullivan in his Collingwood studio. Dan and the band instantly hit it off, and the Hitchhikers returned to the studio later that year to record their festive single ‘All That Matters (it’s Christmas time)’ and to make start on an album. Over some months they made the studio their home away from home, creating ‘Nothing Ever Gets Lost’, a stellar batch of songs carefully crafted and recorded. From heavy rock to swinging soul, lonesome country to indie rock and dark blues, the album shows glimpses of Paper Planes but also Claire’s 4-track recorded albums (such as 2000’s ‘captain captain’). This rings true with album bookends ‘Got The Picture’, with its humble acoustic guitar and vocal harmonies, and downbeat country waltz ‘On The Waterfront’. There are also obvious nods to Claire’s hometown, with ‘Lions and Tigers’ paying homage to classic Geelong rock bands such as Bored!, and featuring stunning guest vocals by Sly Faulkner (Splatterheads/Powerline Sneakers). The first single, ‘Secret Somewheres’, feels like the perfect way to showcase the band; replete with lush harmonies and unashamed pop craftiness. It flies high on joyous slacker abandon, with spatterings of fuzz guitar dripping in 90’s charm. The double album launch for Claire Birchall & the Phantom Hitchhikers ‘Nothing Ever Gets Lost’ and James McCann & the New Vindictives 'Gotta Lotta Move - BOOM!' will be held on Sunday December 3rd at the Tote Hotel, Collingwood. 'The Happy Lonesome' self titled debut album OUT NOW! The Happy Lonesome are a Rock’n’Roll band from Melbourne via Geelong. Their debut self titled album is OUT NOW on LP and CD via Night Owl Records. Led by songwriter/vocalist/guitarist Matt Green, The Happy Lonesome also includes long time members Claire Birchall and Pete Azzopardi (guitars/vocals), with new additions Jarrod Brown (drums) and Sean McMahon (bass/vocals) cementing the departure from the band’s former cow-punk aesthetic to something more pure. The five were already well accustomed to each other other due to years of playing together in other bands like The Coves and Claire Birchall & The Phantom Hitchhikers, as well as sharing the bill with Sean’s various bands (Downhills Home, The Moonmen). After only three shows together with the new line-up, the band took to the studio to record with Dan Sullivan in Collingwood during winter 2016. Matt’s new batch of songs were given a vitality and feel reminiscent of the best of the Albert years with undertones of the Australian 70’s and 80’s rock underground. There’s nothing affected or “vintage” about these songs though. This is sincere and proud Rock and Roll, with a versatility that transcends any genre, niche or clique. 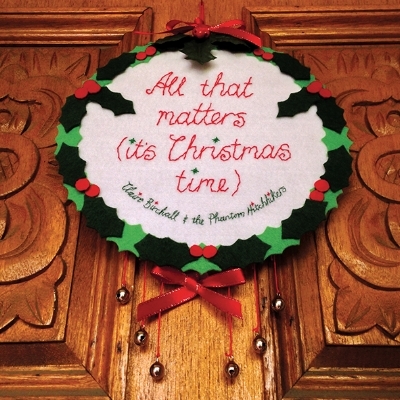 Claire Birchall & the Phantom Hitchhikers 'All That Matters (it's Christmas time)' SINGLE OUT TODAY! SINGLE LAUNCH - SATURDAY DECEMBER 10TH AT THE TOTE (UPSTAIRS) - LOOK HERE! Claire Birchall returns with a stand-alone Xmas single, “All That Matters (it’s Christmas time)”, out today on Night Owl Records. It’s a rocking stocking-stuffer; all jangly-chord soul with sleigh-sled percussion that joins the rare ranks of secular holiday songs that don't stink. Heathens beware though: it's for ye faithful of Yuletide spirit. Strip the crass commercialism and formalities and you're left with the ones you love, day drunkenness, stereo sing-a-longs and familial infighting. "Come on, join in", shouts Claire in a euphoric declaration of togetherness, underlined by her trademark Mascis-saturated licks before the band sends it to transcendent backing-vocal Valhalla. The Xmas spirits bestowed the seeds of the song upon Claire in a dream, who awoke from her slumber lunging for a guitar, pen and paper to frantically complete the Xmas miracle before it faded to obscurity. The finished product was then festively bedecked in rock goodness by The Phantom Hitchhikers, her backing band consisting of members of The Happy Lonesome, The Coves and Paper Planes. It's the bands’ first release from sessions helmed by Dan Sullivan, who makes a jolly appearance in the “All That Matters" promo clip (streaming on any device near you NOW). Get the single roast-hot as it won't be on the debut Hitchhiker's album when it lands 2017! The Happy Lonesome - 'High in the Noose'/'Even Fight' single out NOW! PURCHASE THE SINGLE AT BANDCAMP HERE! WATCH THE OFFICIAL VIDEO AT YOUTUBE HERE! The Happy Lonesome are a Rock’n’Roll band from Melbourne via Geelong. Their brand new double A side single, ‘High in the Noose’/’Even Fight’, is out today via Bandcamp, along with the official video also out today on Youtube! The single is a preview to the bands' debut self-titled album, The Happy Lonesome, out January 2017 on Night Owl Records. The four song EP was recorded at Collingwood's own home of rock on a hot Sunday evening. The four songs featured on the recording are 'Leaving this town' (from Claire's 'PP' album), 'Rock n Roll Girl', 'Be A Star', and 'Take it Easy MaryJane' (all from the 'Electricity' album). Head to Bandcamp and download your copy for FREE today! It's been a massive few weeks for Claire Birchall & the Phantom Hitchhikers. The launch of 'Electricity' was a great success, and the band had a blast at the launch gigs at the Gasometer Hotel in Collingwood and back in their hometown at the Barwon Club, Geelong. The radio stations have been super supportive, with 'Rock & Roll Girl', 'Take it easy MaryJane' and 'Be A Star' the favourites on the album. Adelaide's Three D Radio made the album their feature of the week, and Tripe R, PBS and 3CR all had the band in for interviews & live to air performances. So many great shows have been playing the album on all the stations, with Dave Graney in particular showing wonderful support, flogging 'Rock and Roll Girl' for weeks on his Banana Lounge show. The record stores have also been great, with Missing Link / Record Collectors Corner adding the album to their top 10 listing in Beat Magazine. Fans have been flocking in to buy the album, and both NOR and Claire are super rapt with the response. Night Owl Records and Claire Birchall & the Phantom Hitchhikers just wanted to say a big thanks to everyone for their support around the the release of 'Electricity'. THANKYOU!!! Night Owl Records are very happy to announce that our fifth release, Claire Birchall's new album 'Electricity', is out today! The album has already been gracing the airwaves over the last couple of weeks, with 'Rock & Roll Girl' and 'Take it easy MaryJane' so far the favourites. We are very excited to announce, Claire Birchall's brand new single 'Take it easy MaryJane' is out today! This is the first single from her new album 'Electricity', which will be out on Monday May 4th on Night Owl Records. Saturday April 18th. It's going to be an awesome day with heaps of killer bands, so make sure to come on down!